I hope you are well. 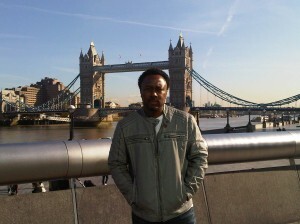 It’s a Friday morning in London and I’m ready for my roundtrip ticket home. It’s been a full week on the road (when is it not? )… let’s see if I can recap. First flight was out to LA on Thursday night. We landed about 60 minutes late and needed to get to the hotel as fast as possible. We scheduled a wardrobe fitting with our stylist, Danielle Smith (Fresh Fettle) that wasn’t going to happen unless it was in our dreams. It ended up being spread out over the next 3 days. As you’ll see we were quite busy. Next morning (early) had us paying a visit to 94.7 FM “The Wave” where our new single “Let It Go (Life Goes On)” soon to be released, was played several times over the weekend. We had a chance to meet much of the staff and do a couple of station ID’s and some drops. 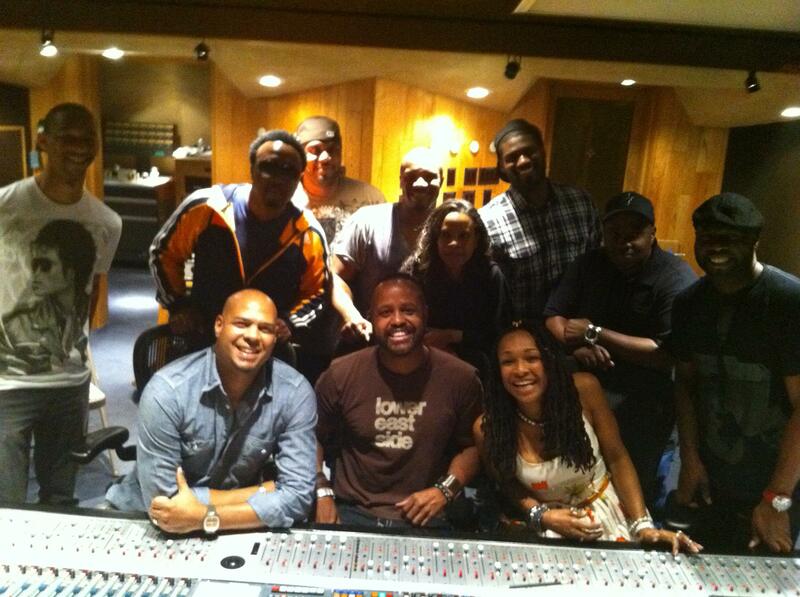 Later that afternoon we joined Siedah Garrett (singer, songwriter: “I Just Can’t Stop Loving You”, “Man in the Mirror”) and Mervyn Warren (producer, former member of Take 6) in the studio for a collaboration on a song called “Love Will” which will appear on her upcoming studio album. Cameras were always running for the entire process, so expect to see some of the fun session soon. I’ll just say for now… Siedah is perfect for reality TV :-). 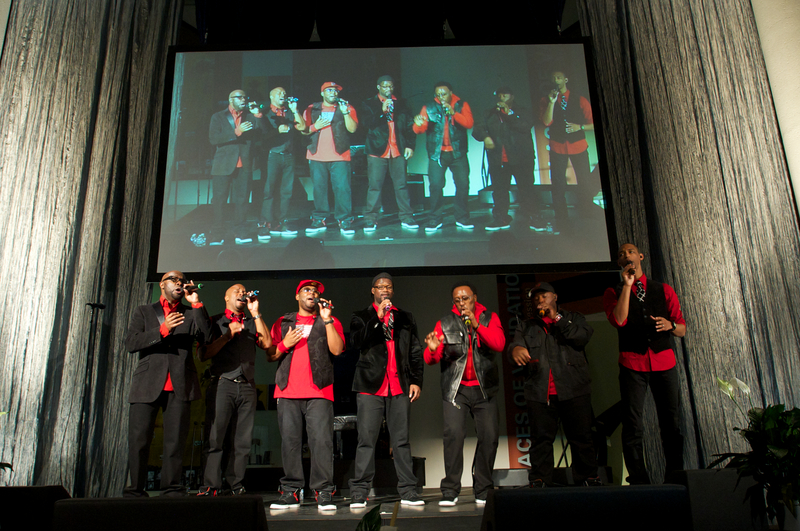 Later that evening we sound checked at CAAM (California African American Museum). This was important because we were scheduled to do two special performances the next two days. The next day was a festival called “A Taste of Soul”. More than one hundred thousand people gather at the event each year and we were honored to be part of it. These type of shows (usually outside with numerous artists for the day) are the riskiest for us as most times we get no sound check. That leaves James moving things around drastically in our 1st song. Hey… it is what it is! We had a really nice intro from Pat Prescott (94.7 The Wave’s morning show host) that really got everyone prepared for something exciting! Long story short… success! We opened with “Keep the Customer Satisfied” and ended with “Wall of Sound”. While signing CDs at The Wave’s booth, one lady came up to us and said “I’ve only heard one song from you so far on the radio… and I really liked it… it has that… that… that… George Michael -Wham thing… right? I love it!” She didn’t realize she was our first testimonial for the single “Let It Go (Life Goes On)” from the average person’s point of view. We smiled and I knew we were all thinking we hope to hear that a thousand times. From there we got quite dressed up for a black tie affair at CAAM where we were doing a special tribute to Herbie Hancock. This was our second time having that honor (the 2011 “BET Honors” was the first time). This time we caught Herbie on video giving us some golden nuggets of wisdom. Once anyone has been in the industry for 50 years, the only smart thing to do is stop, listen and take notes! On stage, we performed our medley of three of his songs: “Watermelon Man”, “Chameleon” and “Rock It”. It was well received to say the least. We ended the night with “Ready or not” with plenty of dancing! The following day was out to Venice Beach for a small video shoot to get some extra footage for the “Keep the Customer Satisfied” video (coming soon also). I always enjoy shooting videos and this time was no different. With the exception of some dude who had to be told multiple times to get out of the camera shot, everything went pretty smooth. We then got set up for a full concert back at CAAM which was of course advertised the day before with our performance of the Herbie Medley. I expected the sound to be on the “not so good” side of things because the hall in the museum was so high, but it turned out to be fine. You could still hear the details of our voices. The audience was very enthusiastic and the house was filled with many well-known singers including Siedah Garrett and Kenny Lattimore to mention a few. Just so you know… whenever that happens we feel like we have to be on our “A” game! That’s a mental thing because we always try to do our best work on any given day. Coming off the stage we did our usual ritual of meeting the audience, but much faster than usual because we had a plane to catch… it was going to be tight! Special thanks to Helmut, Kia, David and Isabella for all the help to get us out of there on time! It takes work to pull off a good exit strategy. All in all, I really enjoyed the night at CAAM and want to thank Charmaine Jefferson and Garrett Johnson (our Attorney) for inviting us. It was a night to remember! And oh yeah, we did make that plane! It would have been ugly if we didn’t. Often referred to as the “Red eye”, we left LA just before midnight and had to go to Newark, NJ to connect to London. You guessed it… that’s all day… Monday’s gone! London: We checked into a beautiful hotel called “The Grove”. It’s somewhat of a castle with a beautiful interior and breath taking exterior. It’s known for its picture perfect golf courses. Anyway, what are we in town for? The Michael Bublé Christmas Special (UK). We rehearsed all that day and was pretty blown away by the set or should I say “million dollar set”. Very warm and Christmasy! I’m here sitting in our shuttle waiting for the rest if the guys to come out so we can go back to our hotel. 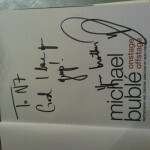 We just finished taping our segments for Michael Bublé’s Christmas special here in England. As always, it’s a lot of fun working with Mike. I’m looking forward to when it airs because it’s going to look amazing. They built a million dollar set complete with snow flake machine and a rotating living room. It was taped in George Lucas studios where “Stars Wars” was filmed. It was a busy few days. When we arrived in England we didn’t even know the songs we were to sing. So when got off the plane we had a rehearsal right away in the hotel so when we went to camera rehearsals the next day we would have at least a clue of what would be ready. But with all work involved we still had a great time. So if you’re in the UK, look out for the ITV broadcast some time mid-December. Everyone else, I guess they will have to look for it online or wait for the U.S. TV special. Early next morning we did some promo for an upcoming event (details coming soon!) in which we will be so proud to be part of this summer. Later that evening we did a couple more things in connection with the Michael Bublé Christmas Special and felt pretty good about our participation :-). Oh, I forgot to tell you we also opened the show before the taping to warm people up for the cameras. On our second song “Ready or Not”, MB came out to our surprise and just started singing and dancing with us… he said he would, but we thought he was joking. I was thinking while he was on stage with us, “We’ve all really become good friends… on and off stage. It’s always a pleasure for us to work together.” That’s not something you can always say about your local super star, but it’s the truth with MB. He’s a true friend and brother! 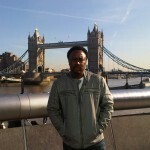 Well, it’s been another great week in the life of the Englishman from New York (who lives in Atlanta :-). Here I am on a plane with the rest of the gang flying from London to DC. I’m ready to hit “send” but I guess I’m too high in the sky now, which means I have to wait 8 hours to send it to you. The company LG (electronics) has it right: Life is Good. 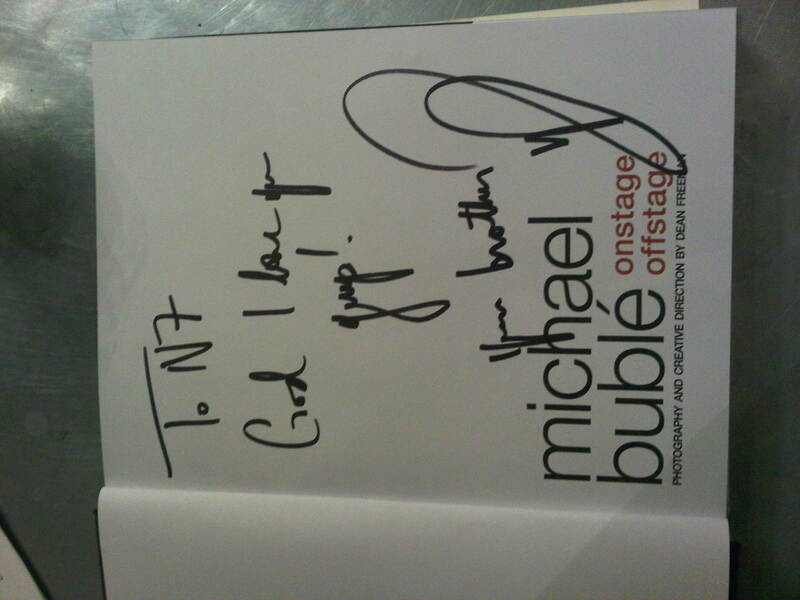 This entry was posted in Roundtrips and tagged CAAM, London, Michael Bublé, Roundtrips, Siedah Garret. Bookmark the permalink. It’s always great to hear from you guys once in a while. I can see you always keep busy every second of every single day hehee! 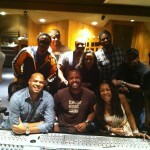 :) Glad to hear that you are getting great feedback from your soon to be release album. Can’t wait to hear it. I find the style, vocals & music gets more complex and ingenious the more you create songs over the years. I have expressed it to Dwight after the show when you were in Montreal last time. I truly enjoy listening to it and it fascinates me every time I hear you in person. On that note, say hello to everyone for me please. Now I need to go back to study my Flight Attendant Manual as I start flying again in about 3 weeks but I have my Requalification and annual exams in 2 weeks. Stressed out!!! hahah It’s all good. I haven’t been working for the past 6 ½ months already..time flies! Let me know if you are ever in NY for a day or two or close to Montreal. I might drop by and say hi. 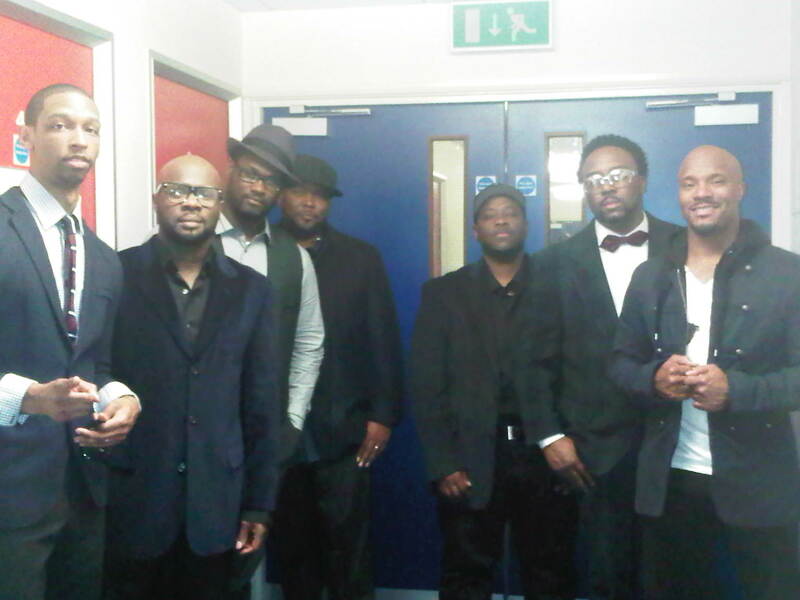 i love Naturally Seven for may reasons: 1. They are amazing down to earth wonderful guys 2. They are my dear friends 3. They have a talent so huge that the whole world needs to see and hear them. Pretty much the whole world is getting to see them, but we need to see much more of them here in NYC and the rest of the U.S.
Miss you my dear, dear friends! Miss your talent!! And if all of the U.S could hear and see you more often than we do, they’d miss you as much as I do!!! Phil – Click on ‘Tour & Events’ at the top of the page to keep up-to-date with new tour dates. 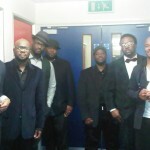 Naturally 7 have their own show at The Barbican, London on 7th February, 2012. Here’s a link to the Barbican’s website for ticket info: http://www.barbican.org.uk/music/event-detail.asp?ID=12614. I WILL BE AT THE BARBICAN LONDON UK ON FEB 7 TH FRONT ROW !!!! CAN’T COME SOON ENOUGH REALLY LOOKING FORWARD TO IT ! This group is great. I am driving 10 hours to see them in Indianapolis–CAN’T WAIT. 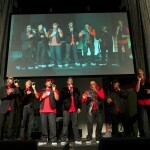 I enjoy watching these guys perform and listen to them sing. This will be my 5th time seeing them and I am as excited as the first time when they opened for Michael Buble. It is funny after a performance listening to the people who have heard them for the first time talk about how great they are – wish more people could see them in the USA. LOVING ALL THE NEWS ABOUT YOUR TIME IN LONDON, I WAS LUCKY TO SEE YOU GUYS AT THE TAPING OF MICHAEL BUBLE’S CHRISTMAS SPECIAL AT ELSTREE. REALLY ENJOYED YOUR PERFORMANCE YOU SURE HAD US JUMPING ABOUT AS USUAL ! LOVED IT WHEN MICHAEL JOINED IN WITH YOU ON READY OR NOT TOO ! FEB 7TH AND HOPE I CAN HAVE A FEW WORDS WITH YOU.